I want to be careful in this post, because I don't want to offend or insult anyone, but a variation of this has happened to me so many times that I think it's worth addressing. Last summer, I wrote a post (here) about my pet peeves of how people interact with me - staring, jumping out of the way when I'm nearby, talking to the person I'm with instead of directly to me. But sometimes, when people do talk directly to me, it's not much better. If you've ever been to an arena/stadium concert, you know that it's basically pure chaos when the show ends. Thousands of people are all trying to get out at the same time, and it's a huge crush of slowly-moving crowds. This can make finding the elevators hard - especially if you have to cut across a huge line of people to get to the other side of the hallway - so I'm always really appreciative of anyone who tries to help, like a man did after the Justin Timberlake concert last week. And when he stopped to chat for a minute after pointing out the elevator to me and my friend, I know he had only the best of intentions in mind, and I do appreciate that (and I also don't think he was 100% sober). He told me that his mom had been in a wheelchair but passed away a few years ago, and that he was really glad that I was able to get out and about, and that he was proud of me for being at the show. Now, I think it's great that he felt a connection with me and wanted to share his memory of his mom. But I do think it's a problem, societally, that he was impressed and proud to see someone in a wheelchair enjoying a JT concert. 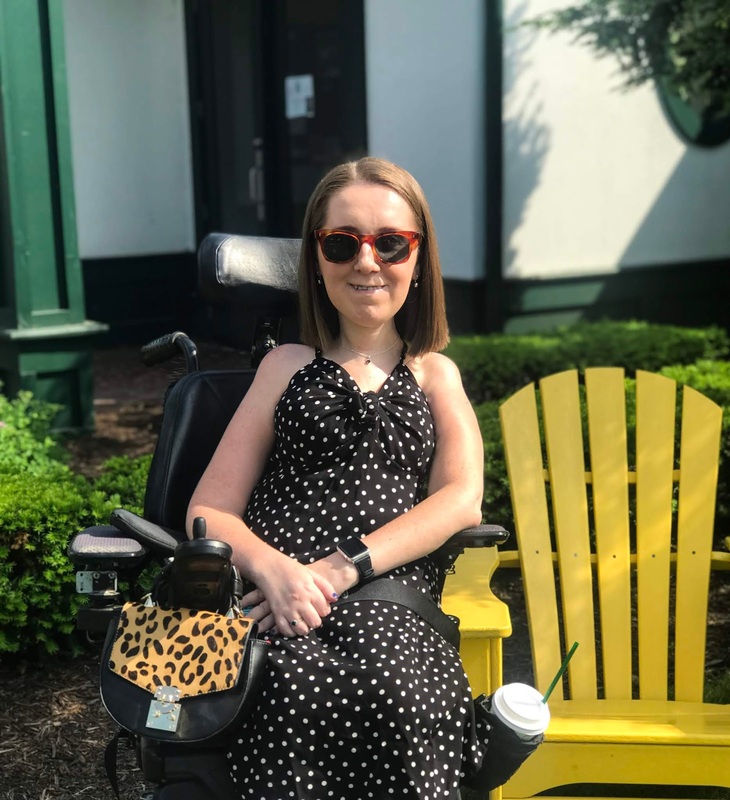 While I'll joke about "wheelchair perks" sometimes with my friends, there really was nothing different about me than any of the other thousands of fans at the concert that night. I wasn't doing it to make a statement, or a point - I just wanted to enjoy JT's amazing performance. And it's a bit awkward and uncomfortable when someone who knows absolutely nothing about you other than the fact that you're in a wheelchair tells you that they're proud of you - especially when they're proud of you for doing something like going to a concert. Maybe if there were more accessible seats in the arena, if there were more accessible transportation options, and if it weren't such a hassle to buy accessible tickets, you'd see more people with disabilities at concerts, or in other public places. We need to think hard about why it's currently the exception, and "impressive," rather than the norm.